Sneaking this little guy in just before Christmas! 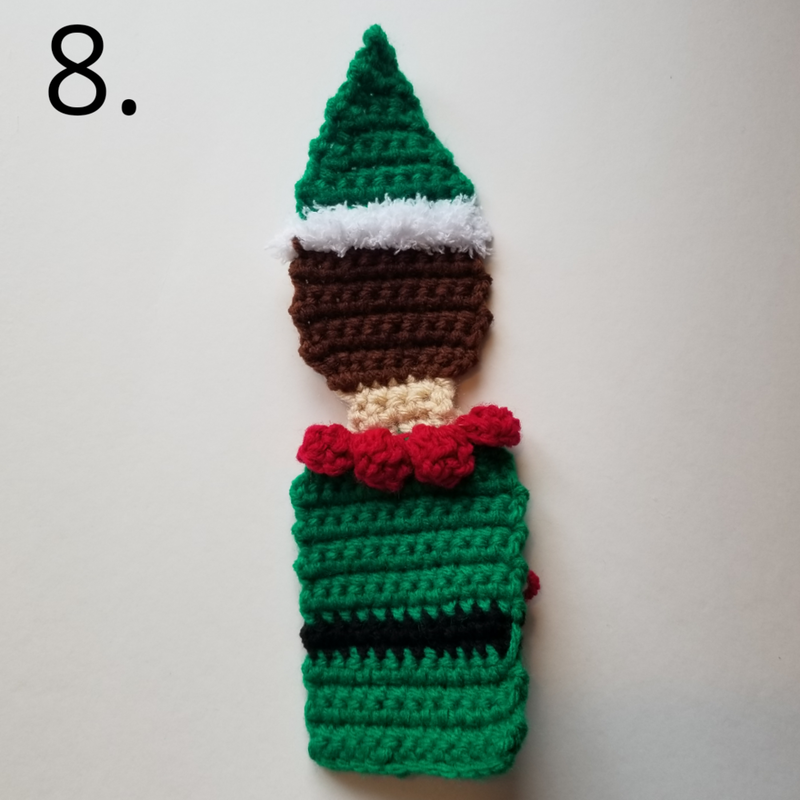 He doesn’t take too long to make so hopefully you still have time to complete him if you want. Mr Ho Ho will need the help delivering all the presents! 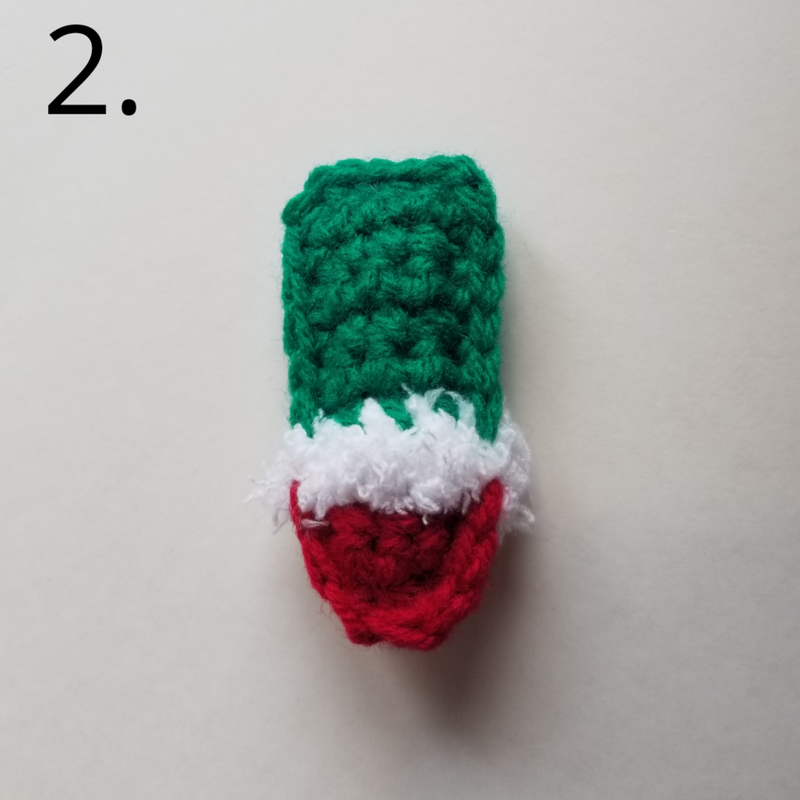 Use #thecsoflifechristmas for me to see your Christmas projects! This written pattern is available for free here on my blog, if you’d like to purchase a PDF version which has been formatted for quick reading and easy printing with no ads, click the “add to cart” to buy now, or select the website of your choice. Cut 4 pieces of green yarn, approx. 12” in length and set aside. Attach beige yarn to row 20 on left side of body panels. 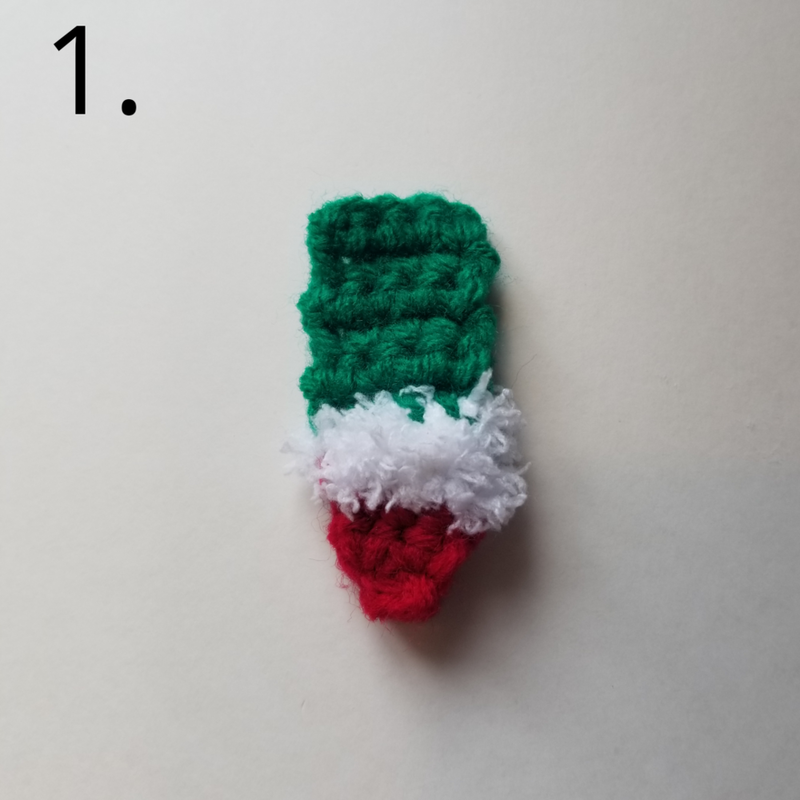 Step 2: With your needle and 1 length of green yarn that you cut earlier, place one arm between the 2 body panels, sew the arm on by stitching through all 3 pieces (2 body panels, and 1 arm), tie a knot and hide the tails between the body panels. 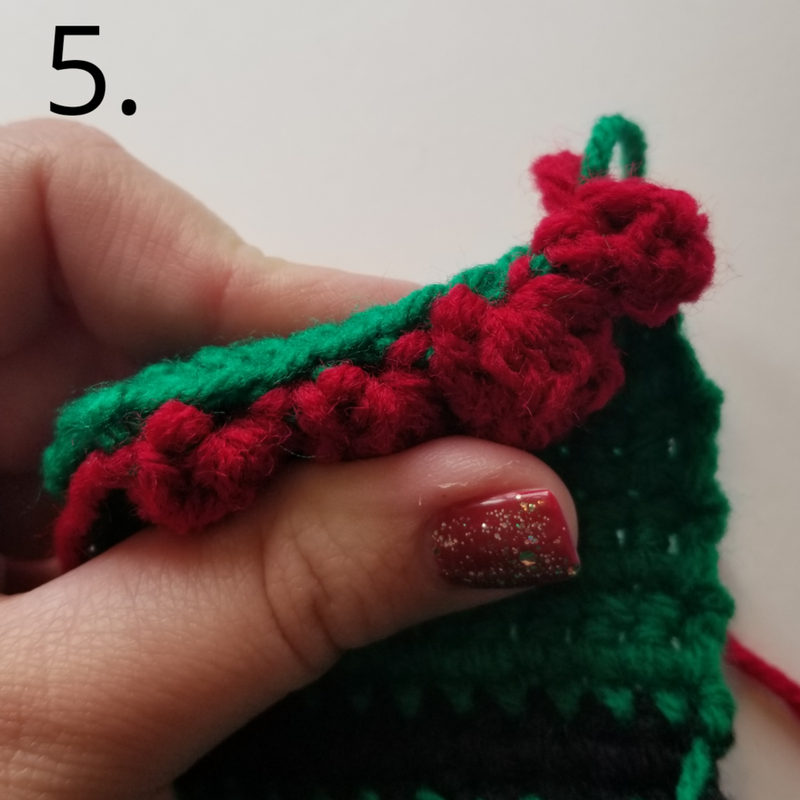 Step 5: with your needle and 1 length of green yarn that you cut earlier, place one leg between the 2 body panels, sew the leg on by stitching through all 3 pieces (2 body panels, and 1 leg), tie a knot and hide the tails between the body panels. Continue working through both body panels, working around the rest of the panels. 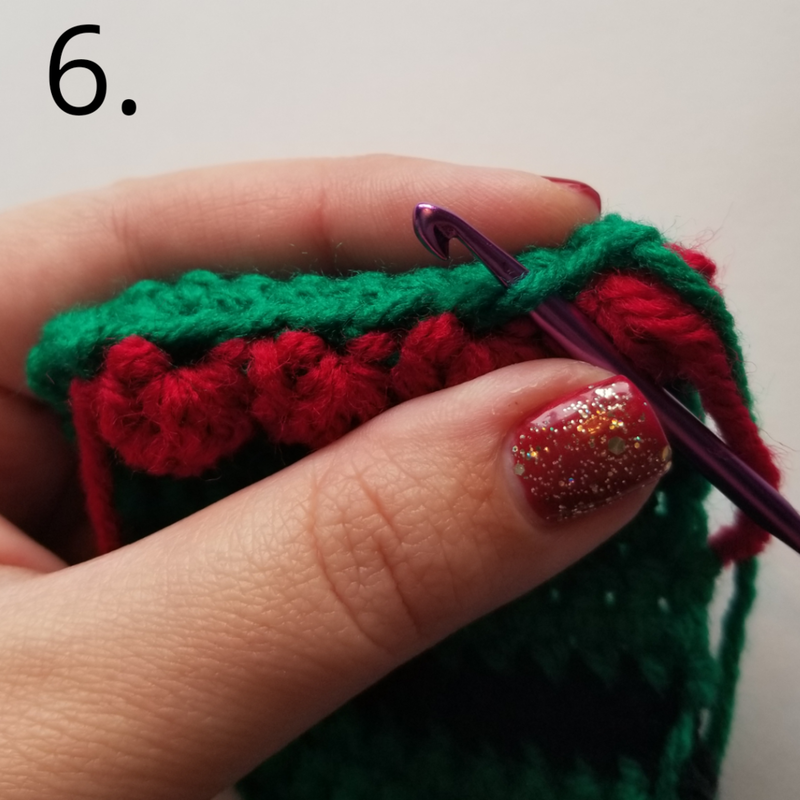 Use red yarn to sew together the red cluster rows at the shoulders.